This post is the first in Novelr’s Interesting Problems in Publishing series. Read more about that here. Disrupted industries tend to follow a common pattern. 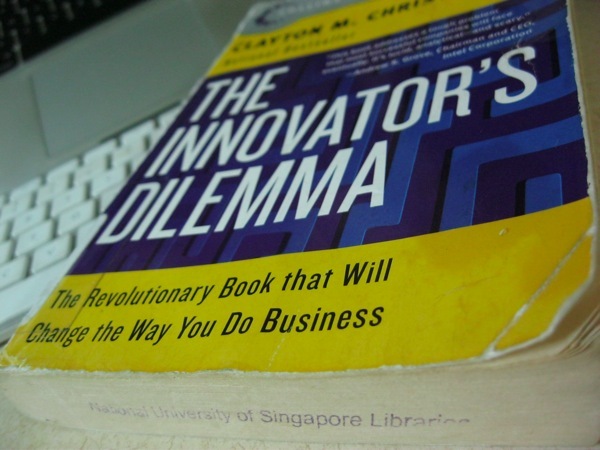 I spent the last month or so reading Clayton M. Christensen’s The Innovator’s Dilemma, and realized, at the end of it, that the $0.99 ebook is really a part of one such pattern. But in order to understand that, we need to know how a disrupted industry looks like. So let’s begin by talking about hard disk drives. The first hard drives were developed between 1952 and 1956. They were horrendously large (in physical size) and ridiculously small (in memory). But what followed this initial innovation is instructive when thinking about pricing, technology, and industry-wide disruption. 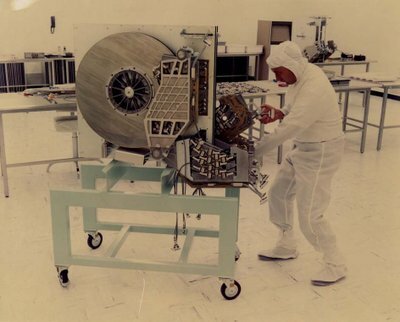 In 1978 the dominant hard disk drives on the market were 14-inch drives, at 300 to 400 MB of memory. They were used in large mainframe computers. In the same year, the first 8-inch drives hit the market, built and sold by startups at the margins of the hard drive industry. Nobody wanted them. The models weren’t taken seriously. The drives themselves were small — at 20, 30, 40 MB capacity — which meant that they were of no use to any mainframe computer maker. So what do you do when the mainstream computer manufacturers reject your product? The new 8-inch drive makers turned their attentions to the smaller (and therefore less profitable) minicomputer market. This market didn’t mind paying for less capacity; they prized other attributes such as the smaller size of the new hard drives. And so the minicomputer market exploded. The startups found that they could increase the capacity of their small drives at a rate far faster than that of the 14-inch drive makers. When they became good enough — that is, when the new 8-inch drives had enough memory to be of use to the mainframe computer manufacturers, the mainframe companies began to take a closer look at the 8-inch drives. They discovered that the smaller models had several other valuable attributes: lower mechanical vibration, for instance. The new drives began to invade the mainframe computer market, and the incumbents were driven out of business. Fast forward 3 years. Seagate Technology introduces a 5.25-inch hard drive. At capacities of 5 & 10 MB, these new drives were of no use to the minicomputer market. And so the new startups turned to the PC market. When the 5.25 inch drives became large enough for minicomputers to use, other attributes became more important. The wide adoption of personal computers meant that it made sense for many mainframe and minicomputer manufacturers to switch over to 5.25-inch drives. All the older companies (with the exception of Micropolis) were wiped out. (Incidentally, this cycle is repeated for the next two waves of hard drives! 2.5 inch drives, for instance, were poo-pooed, but were used in laptops and eventually became large enough to invade the market categories above them. The attribute that mattered, in this case, was the fact that 2.5-inch drives were more rugged than their bigger cousins). 1) A new technology is introduced. The new technology almost always starts out as a ‘toy solution’. By definition, disruptive technologies won’t seem as impressive (because if it were, all the large companies would adopt it right out the door). 2) Large companies ignore the new technology because of ‘value network’ limitations. The funny thing about this is that the incumbents are always aware of the technology — in fact, market leaders have working prototypes long before any of the startups show up (and this is true in all the industries Christensen explores). The reason they don’t act on this capability is that their existing customers have no use for the technology. Worse still, the profit margins available to them if they were to pursue the new technology would not justify the costs. 3) New companies emerge, and take the technology to smaller markets, with tiny profit margins. The startups are willing to do what the large companies do not: hunt down new markets where the technology may be sold. The startups, of course, are willing to sell at far lower prices, and make smaller profits than the incumbents. (Take note of this, by the way — this is the bit that concerns us today). 4) The technology matures, and begins to enter the incumbent’s market from below. This obviously does not happen with every technology, but with the disruptive ones, this stage occurs as a result of the technology becoming good enough, allowing potential users to evaluate other attributes. The hard disk industry is a fast moving one. The publishing industry is glacial in comparison. But Christensen argues that the same pattern applies to any disrupted industry. Take, for instance, excavators. In 1947, the first hydraulic excavators were taken to market. They were promptly ignored by customers — and by extension — the major manufacturers of earth-moving equipment, for hydraulic excavators were too small and too weak for large construction projects. (At the time, everyone in the construction industry used cable-actuated shovels.) The hydraulics companies therefore turned to a small, marginal market: tractors and backhoes for farmers to dig up small ditches. It took 10 years before hydraulics caught up to the power and scope of cable-powered excavators. When they did, other attributes began to become more important: hydraulics technology, it turned out, was safer, because there were no cables that could snap. And hydraulic excavators cost less to maintain, because the technology required fewer moving parts. Today, all excavators are made using hydraulic technology. The cable-actuated machine manufacturers are long dead. What Does This Have To Do With eBooks? It’s 2011 and ebooks are beginning to take off in the publishing industry. The incumbents are in denial about it, and are shifting to digital at a glacial pace. The margins are too low, the market size questionable. Digital publishers and indie writers respond by selling to the lower end of the market. They sell badly-edited ebooks at dirt cheap prices. Big Publishing’s okay with that, because it’s ‘not the market they’re aiming for.’ They respond to their customers — the bookstores. And sales seem fine. Quietly, however, ebook technology is approaching ‘good enough’. Companies like Amazon are producing better and cheaper eReaders. Rumours abound of the Pixel Qi screen: an LCD screen that can be turned — at a flick of a switch — into an eInk diplay. Startups are building a host of digital distribution pipelines. And authors begin banding together, as they become better at ebook production. In 201X, ebooks reach ‘good enough’. Customers begin to re-evaluate the technology. Other attributes begin to become more important. Because the newer publishers gained a toehold with 99c ebooks, they will be better optimized to thrive at the lower price point. The traditional publishers, on the other hand, are due for a shakeout. We’re not at ‘good enough’ yet. But we will be, soon. The 99c ebook is here to stay. Most disruptive technologies begin with cheap solutions, and gradually move upmarket as the technology (and in this case, the processes) improve. 99c ebooks are an intermediary: it’s stage 3 of a disruption, where little upstarts are willing to take on low profit-margins to gain a slice of the new publishing pie. Some writers are already complaining that the price-point undervalues their writing. And that may well be true. But take a look at Alexandra Erin’s new publishing initiative: LitSnacks. A hundred pages for 99 cents. It’s a brilliant idea: you write books faster, because 100 pages isn’t that much. It’s also easier to edit. And you write more books, which means — through a peculiarity of Kindle store economics — you make more money in the long run (Konrath has shown that there’s a direct correlation between number of books you’ve written and the amount of ebooks you sell). There is one other objection to the 99c ebook: that if you sell your books at such a low price, you won’t have enough money to pay proper editors. But that’s a solvable problem, is it not? I am confident that there exists a model of publishing (and therefore: editing) that operates on smaller profit margins. In a nutshell: $0.99 ebooks are part of a bigger disruptive trend that’s going on right now. It’s a problem for big publishers, certainly, but an opportunity for digital-first publishing startups, as well as independent, tech-savvy writers. The most interesting thought for me that came out of writing this, however, is that a new model may well change the form of the novel. Would a hundred pages be the norm in a digital book world? Now that’s an idea to think about.